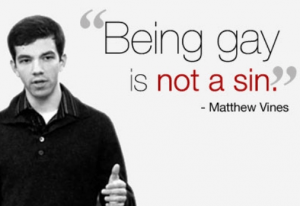 Matthew Vines, Author of “God and the Gay Christian,” has been working hard to infiltrate churches across the United States to convince leaders to relax their biblical stance against the sin of homosexuality. Now Vines is personally waging war against one of the largest evangelical organizations on college campuses nationwide because of its stance against homosexual marriage. InterVarsity Christian Fellowship USA recently released its new position statement on sexuality, telling its 1,300 staff members that they will be terminated – with severance – if they voluntarily wish to ‘fess up to personally supporting gay marriage. Starting November 11th, InterVarsity will begin its process for “involuntary terminations” for any staffer who comes forward to disagree with its positions on human sexuality, which hold that any sexual activity outside of a husband and wife is immoral.